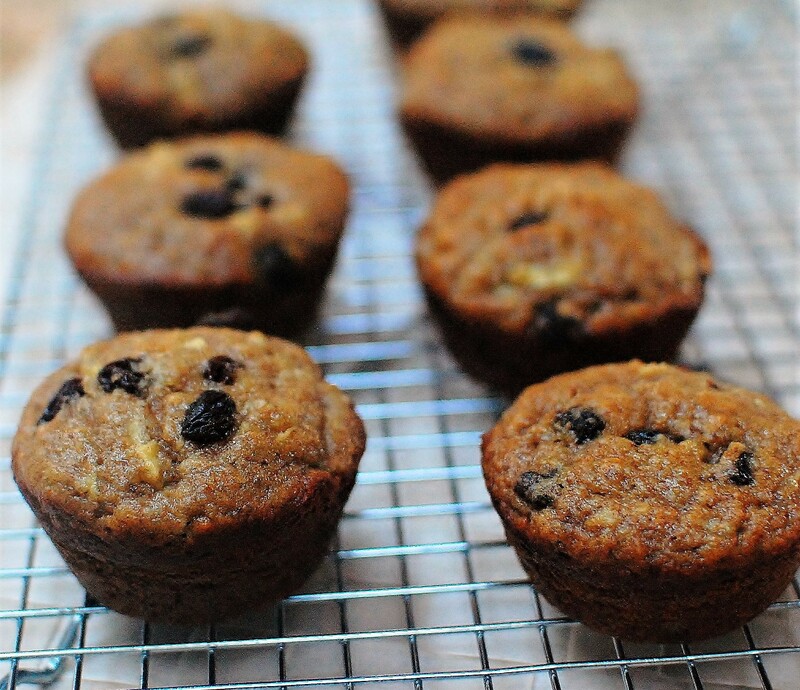 Muffins are ‘sweet’ for breakfast or snack. 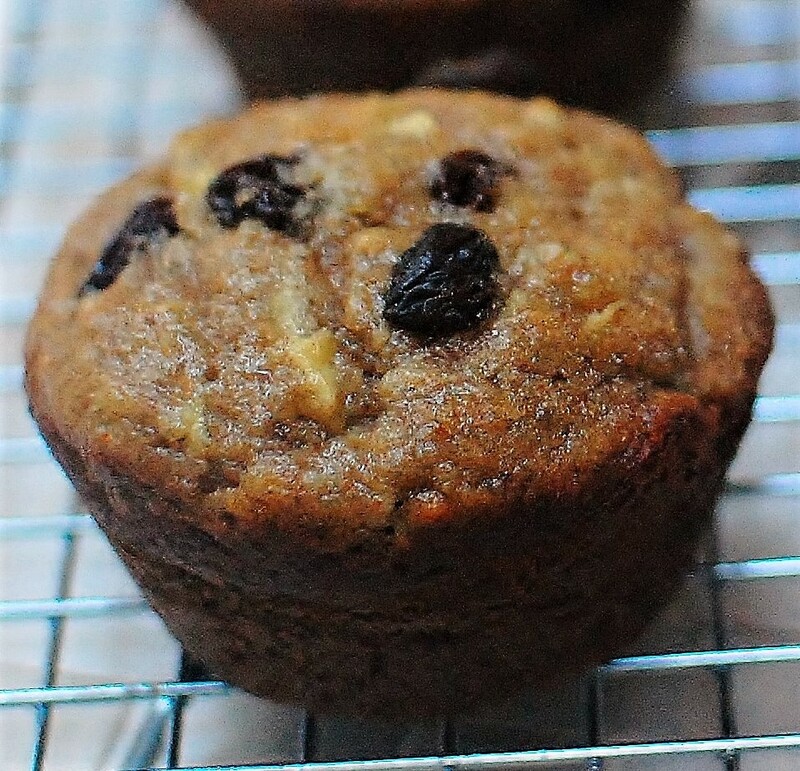 These fruit-sweetened muffins have no added sugar, thanks to raisins and dates blended into a puree, plus no added fat! The dried fruit puree plus diced apples add enough moisture to replace butter or oil, yet retain a light cake-y crumb perfect for a muffin. I created these muffins for a Sun-Maid school foodservice recipe program. I’m glad I did! Now I keep them on-hand in the freezer for a quick-grab breakfast or snack. Either natural or golden raisins are fine for blending with the dates, they'll just be a little darker with natural raisins. 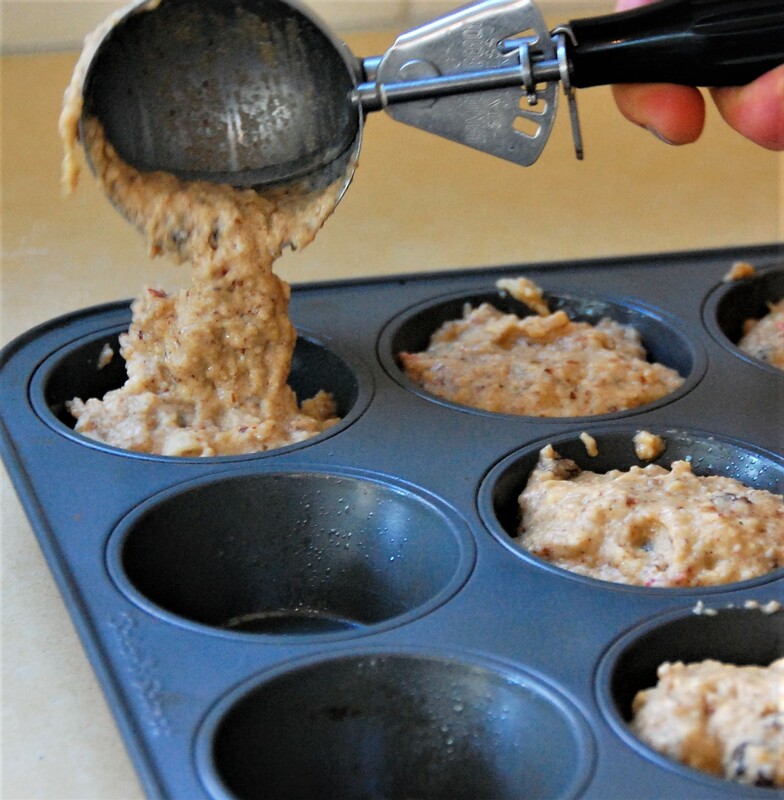 HEAT oven to 375° F. Grease 12 (2 -inch) muffin cups, or coat with cooking spray. The muffins stick to papers, unless they are foil lined. 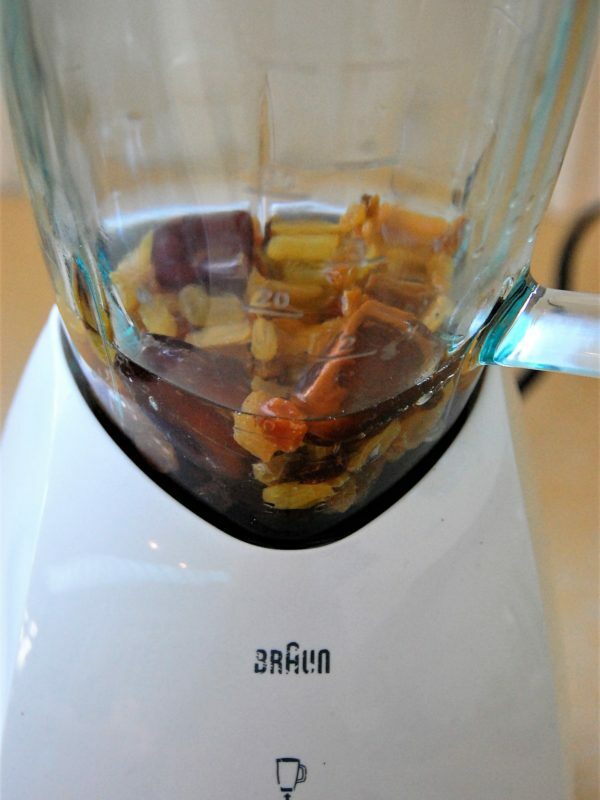 WHIRL golden raisins, dates and hot water in a blender or food processor until fruit is evenly pureed. Add eggs and whirl just to blend. COMBINE flour, almond meal, baking soda, cinnamon and salt in a medium bowl. Stir with a whisk to blend. 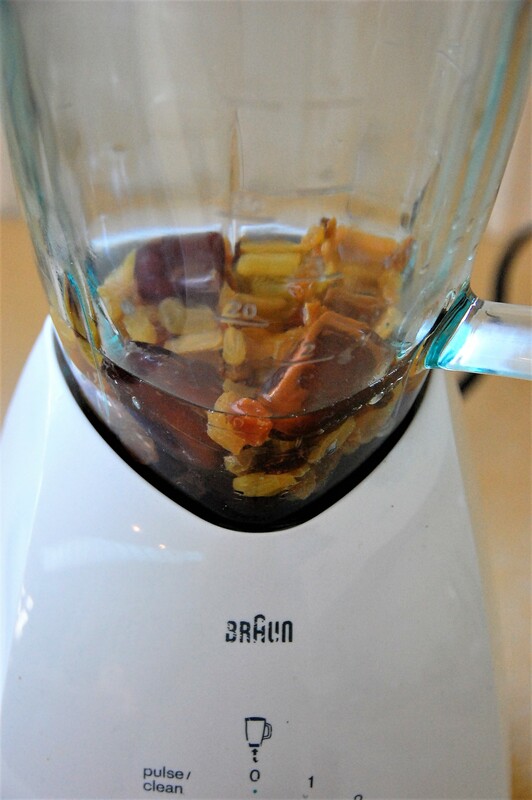 ADD raisin-date puree, raisins and apple to flour mixture; stir just until dry ingredients are moistened. BAKE 16-17 minutes or until tops spring back when lightly to touched. Cool in pan 3 minutes. Remove muffins to wire rack to cool completely. Store airtight 2-3 days or freeze for longer storage. Note: A greased muffin tin is recommended instead of paper liners which muffins may stick to. Love it! Never occurred to me to puree dried fruits to add natural sweetness to baked goods. 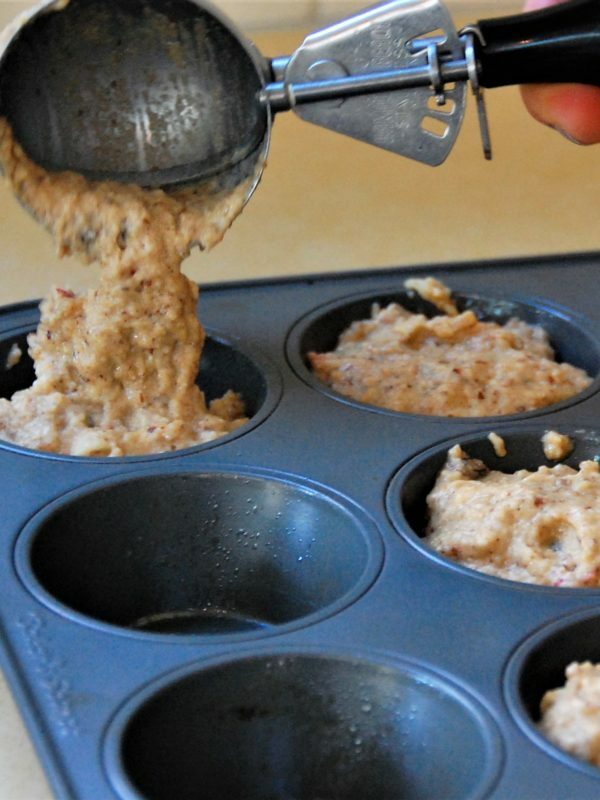 Kind of like using mashed banana or apple sauce to reduce fat and sugar in baked goods. Wish I had some in my freezer now — it’s time to replenish! Amen to goodies in the freezer, Rosemary! And thanks for the compliment of making my recipe.